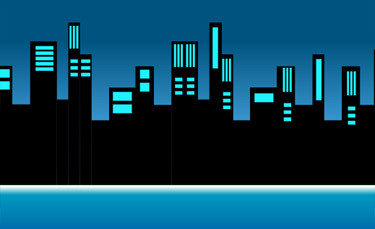 This tutorial is a small journey through the steps of creating a night scene in the city. Draw a rectangle. 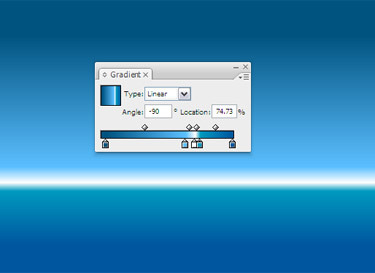 Open the Gradient palette. Choose a gradient colour as shown below. Set the Angle of the rectangle to 90 degrees. 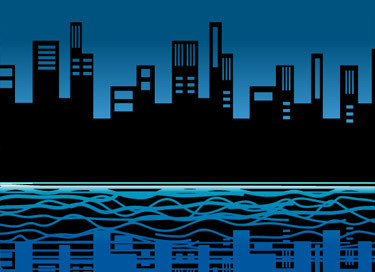 Lock the current layer. Create a new layer. Make the ruler visible by pressing Control+R. Drag the ruler line to the middle with the lightest area of the rectangle. Draw one more rectangle and duplicate it. Then change it. 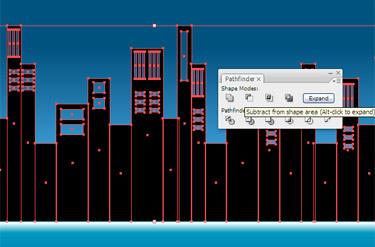 Using Pathfinders Add to Shape Area combine the buildings. Then click on Expand. Draw a few rectangles to make windows. Choose everything and go to Pathfinders Subtract from Shape Area. Click on Expand. Duplicate the image using Alt+drag and pulling down the top point. 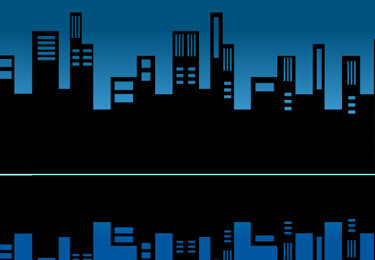 Place this city on a new layer. Reduce the size of the image and start to erase. Again reduce the size and erase. 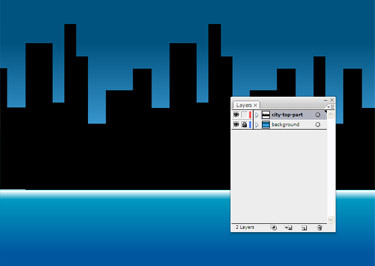 Draw a rectangle smaller that the background rectangle. Unlock all the layers. Choose all. Select Clipping Mask.